Getting ready for the upcoming school year isn’t all about notebooks, brand-new clothes or lunchboxes. It’s also about preparing your child for a new transition and laying the foundation for good communication. As your son or daughter meets different friends, encounters unfamiliar social situations, and is exposed to pop culture and media, questions about drugs and alcohol will inevitably come up when they go back to school. To help parents, the Partnership for Drug-Free Kids has assembled this virtual backpack. Not only will it better equip your child during this transition back to school, it’s filled with tips and tools for talking, listening and improving your overall communication when your child has questions about drugs and alcohol. You will be the one he or she turns to. 1. Prevent drug use at every age. From preschool to young adulthood find out prevention tips for every age. 2. Learn about drugs in your teen’s world. Our Drug Guide will help you learn the facts, prevalence, and warning signs to help keep your child safe. 3. Listen to what these moms have to say. 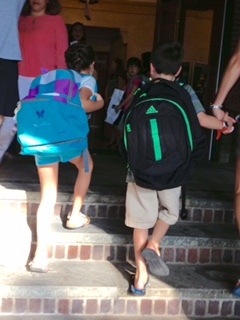 Partnership moms give their 10 best back-to-school tips. While your teen’s judgment skills are developing, he/she needs you to keep her safe by setting limits to monitor your teens behavior, backed up with firm consequences. 5. Become a better listener. Learn how to listen. Then download and take this quiz to see how good you are. 6. Starting a new school? Help your child stress less during this critical time. Find out how to have meaningful, productive conversations with your teen about marijuana and download the marijuana talk kit. 8. Help end medicine abuse. More teens are abusing prescription medicine than ever. Here’s what you can do to help. Help your student athlete embrace healthy, drug-free competition. 10. Write a contract with your kids. Establish rules (in writing) about drugs and alcohol that you both agree to. Preventing alcohol and drug use isn’t always easy. 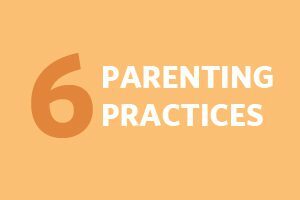 Here are six research-supported parenting practices to set you on the right path.